25CrMo4/1.7218 is a low-alloy steel containing chromium and molybdenum as strengthening elements.It is a versatile alloy with good atmospheric corrosion resistance and reasonable strength up to around 600º F (315º C),and shows good overall combinations of strength, toughness. weldability,machinability and fatigue strength.This materail is generally used in the quenched and tempered condition. 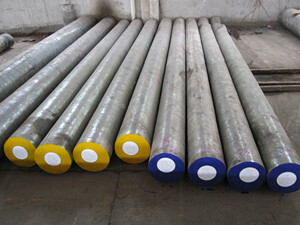 25CrMo4/1.7218 alloy steel manufacturers and suppliers,supplied with round rods,square/flat bars,rollers,shafts,blocks and forging pieces.